Anyone in the technical space who has worked in Healthcare knows how behind the times they are. Consistently relying on legacy applications that cater to sometimes thousands of users. Back in the 90s, much of the industry was built on Citrix applications that relied on custom builds of Internet Explorer. Upgrading those custom builds was costly (millions of dollars) and painful so most of the industry would just leave them be and maintain that level of technology that was just good enough to keep them running. The recent announcement that Microsoft was no longer going to support IE 8 and early versions of Windows was a defining moment for the healthcare industry. All those integrated applications now have an end in site. It will force the industry to move into more cloud applications and bring them up to date. It is going to be interesting in the next 12-18 months as the healthcare industry moves away from outdated technology and looks to get into more efficient, scalable architecture. This very well could finally be what the United States needs to bring down health care costs. Windows 10, and it’s integrated application environment should provide a boost to the industry just by removing the support for the older apps. It is a risky move by Microsoft because it will afford all of the companies who have been so reliant on their technology a choice. Now that they have to move their applications you may see some companies move to other OS vendors. Because Windows 10 is cross compatible with phones, tablets and PCs it is very attractive for hospitals and physicians looking to streamline process and costs. One thing is for sure, it is the only way for Microsoft and their Windows system to evolve. I think it is a great move for them and also for the healthcare industry. Because Windows 10 is cross compatible with phones, tablets and PCs it is very attractive for hospitals and physicians looking to streamline process and costs. Surface Pro machines are gaining traction with doctors because the laptop they use can also be their tablet device. Some hospitals have tens of thousands of computers that are all running different versions of Windows. See how HP/Microsoft are working together to streamline the nursing industry. The free upgrade to Windows 10 for all users of Windows 8 (huge discounts for other versions) could be the only way for Microsoft to compete with Apple who is already targeting the Healthcare enterprise space. Microsoft is also aiming to compete with Apple’s HealthKit by pushing it’s MSN Health & Fitness application. Look for this app to get consistent updates in the near future and because of Microsoft’s Healthcare experience, it should stay ahead of HealthKit, at least short term. One platform to rule them all. The world is mobile and healthcare is starving for innovation, efficiency of platform and lower technology costs. Wearable technology and interactive applications that collect patient data securely are the focus in the next 2 years. The new Windows 10 platform allows for a single operating system that scales to all devices. An attractive situation for developers who already see the market flooded with coding languages. 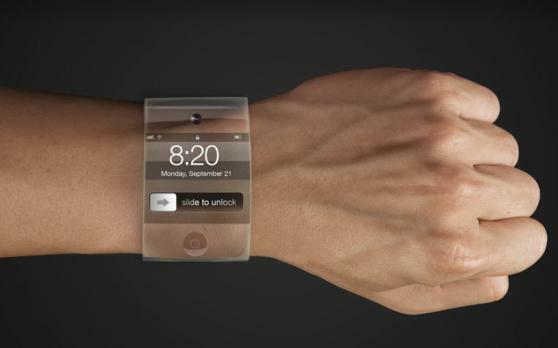 Wearable technology and interactive applications that collect patient data securely are the focus in the next 2 years. It will also be interesting to see how Microsoft partners with companies like Box.com and Google to build SDKs that allow quick leveraging of their enterprise applications. It could speed up the adoption and allow for scalable, open source applications built on the new Windows 10 OS. Would Microsoft break it’s perceived anti-open source policy? It could be inevitable.